To celebrate the grand opening of the Jersey Mike’s in Hollywood, the franchise held a fundraiser benefitting Hollywood High School. 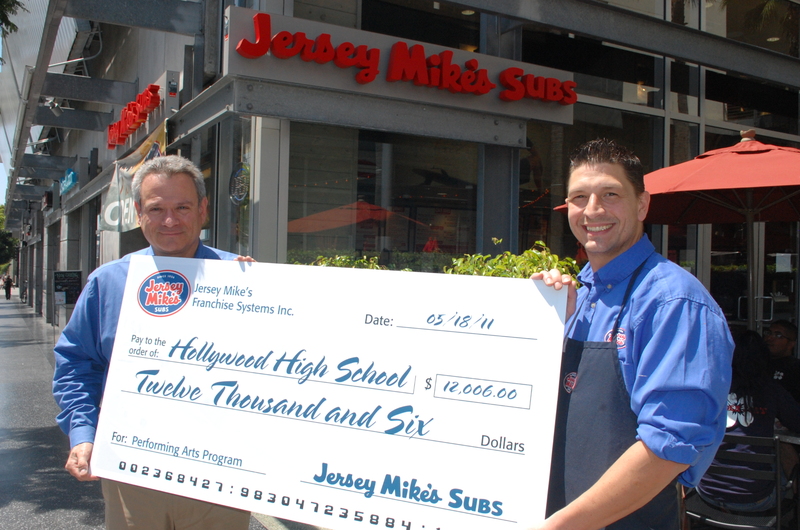 Over 10,000 coupons were distributed, offering a free Jersey Mike’s sandwich with a donation of one dollar or more to the Hollywood High School Performing Arts program. Courtesy of the Beverly Press / Park La Brea News. Published on May 19, 2011. Click here to read the restaurant article via Hooray for Hollywood High.